It's almost February - whoops! But not quite yet. Still time to review my January glam bag from Ipsy. I enjoy writing about these almost as much as I enjoy getting them in the mail, so hopefully you like reading about them, too. I've seen this lotion around, but I'd never tried it before. Apparently the company who makes it is based in Portland. Who knew? The scent is nice (my boyfriend approves), but a teensy bit strong. I don't think we've gotten a hair product in our glam bag before, so I was happy to see them mix it up a little. 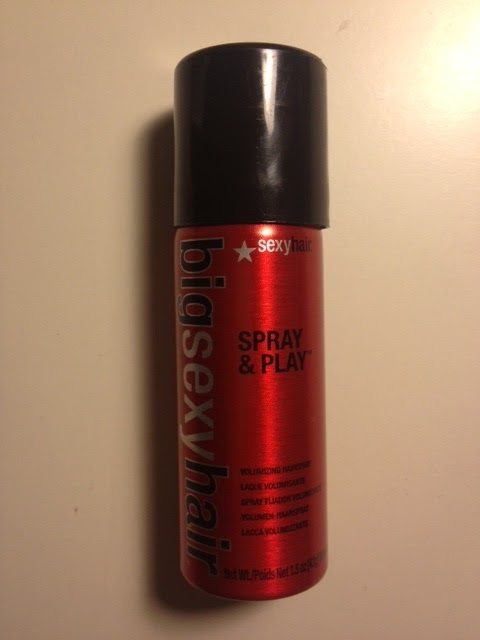 It's a too heavy for me--I prefer hairspray with a light, flexible hold--but it's always nice to have a travel-size hairspray on hand. I can't tell a difference between brands of argan oil, but this sample is perfect for my purse. 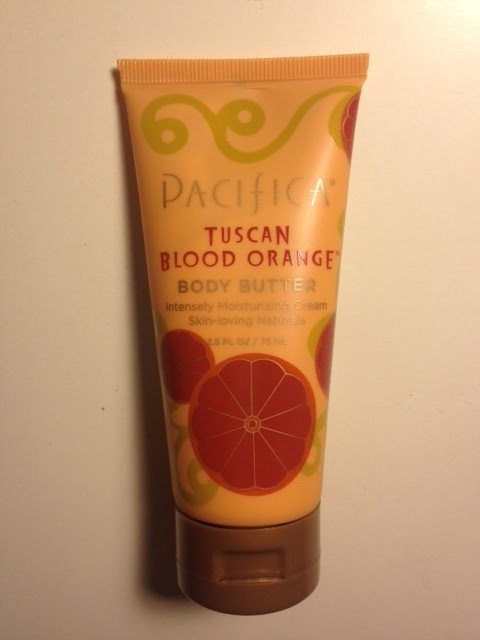 I use it to moisturize my cuticles throughout the day. 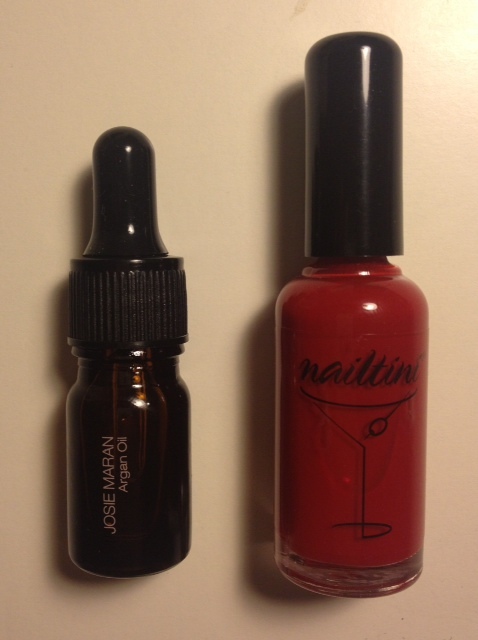 This is a classic red nail polish with cool undertones. Full size - woohoo! 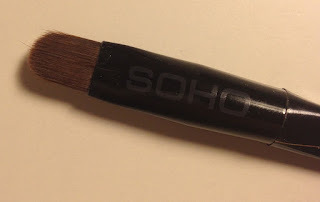 I usually apply concealer with my fingers, but I was pleasantly surprised with this brush. It works particularly well for applying eye shadow primer (random, but useful). I was a little bummed that this month's box didn't have more makeup in it, but Ipsy is still my favorite subscription box. The total value of the box adds up to about $34. Not too shabby for a $10 investment. If you haven't already, check out my reviews of the November and December boxes. I'm so obsessed with that lotion it's not even funny! 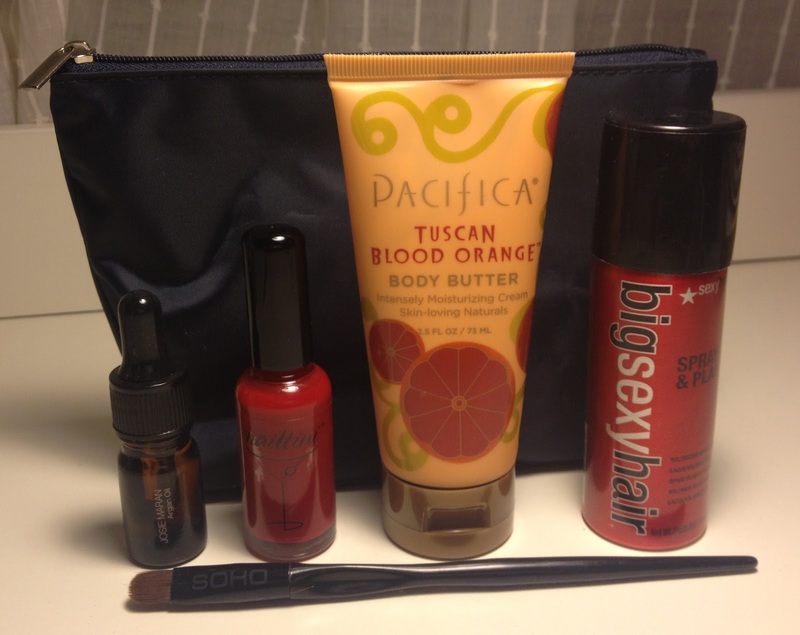 I've never heard of Ipsy before, but I'm gonna have to look into it! Yeah I totally love the lotion also! I'm so jealous that you got the red nail polish. I got more neutral tone... but still fun!